Planable is a startup with a pretty classic though not really background story. Planable started with 3 driven young professionals (classic), Eastern-Europeans (getting interesting), that saw a problem in their industry and decided to solve it (classic again). How could it be that in one of the most modern industries out there people follow the workflow & collaboration methods that are just a tad up from fax machines? It was quite disturbing for young bright minds and it was a question that they decided to answer to: it can’t be. 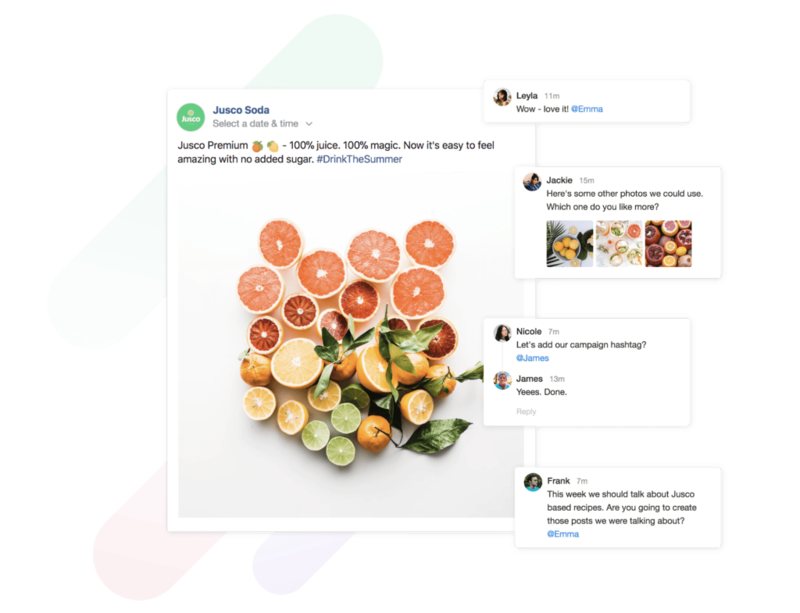 So Planable was built for teams that needed real-time collaboration on social media and needed a solution that would take them out of their misery. At that time the workflow was: plan your social media posts, put them in a “nice” excel, prepare screenshots, presentations, Photoshop mock-ups to know how the end result will look like, send those files via email to the client/ stakeholders, wait for feedback, get back either a changed excel without knowing what the changes are or a vague response that can hardly be described as feedback, implement the changes, put the posts into a scheduling tool like Buffer or Hootsuite and then… while enjoying the fresh fully grown beard, get the posts live. The sad news is that a lot of social media teams still use this process, and it’s not that it’s bad, it’s just that beards are quite high maintenance. That nightmarish concept was what drove the co-founders to build a product that would make managing multiple social media pages into an easy breeze. 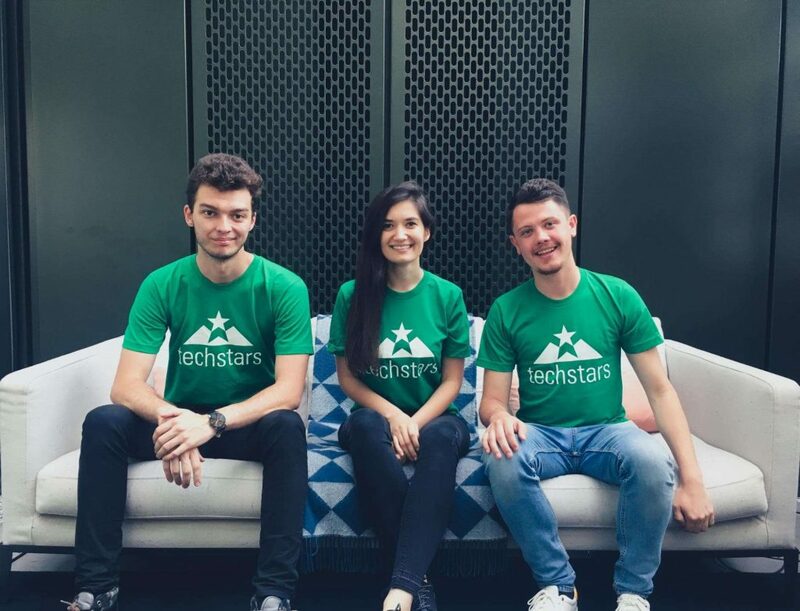 After participating in the Spherik accelerator, winning Techsylvania and gaining experience and real feedback from their first users, Planable got accepted to TechStars London. TechStars London is probably the most prestigious accelerator in Europe and it’s not very easy to get accepted to. Over 1300 teams apply and the process takes up to several months. Planable, though, made it their mission to get into TechStars and worked extremely hard to get in. The reward came quickly because out of over 1000 teams, Techstars selected 10 startups and Planable was one of them in 2017. 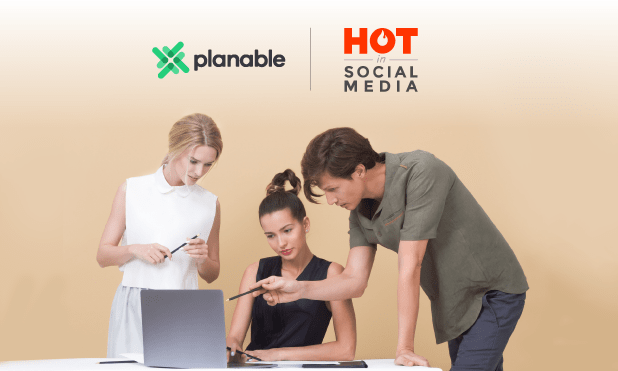 After TechStars, Planable started growing, doing their best to attract great customers and get feedback from them that would help constantly improve the product. Now, Planable is used by brands such as Volkswagen, BMW, Virgin Mobile, ESET, MINI and many others. They’re committed to make the lives of social media experts better. A great journey led to the tool that is now Planable. A social media planning and collaboration tool for teams that want to work together to create the best content possible. Planable changes the way agencies plan and collaborate with their clients on social media campaigns. It’s a tool that speeds up the way social media campaigns are managed and that makes the whole process easy, visually accurate, and fun. The current process that we’ve talked about earlier is very time consuming and, in an agency, that directly translates in financially wasteful. 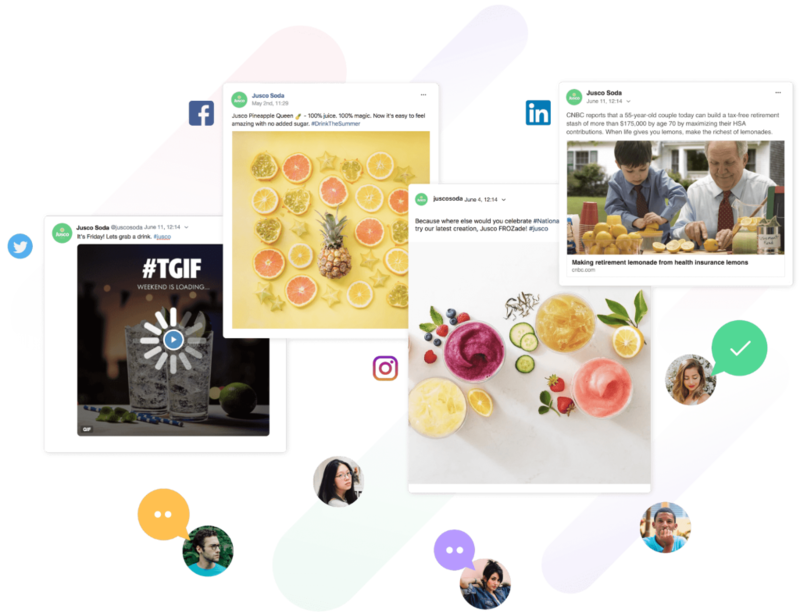 Planable works like a live mock-up of the social feed, giving it a very familiar look and feel to both the clients and the social media managers. Creating new posts is very easy and decisions are always well-informed when you visualize exactly how the posts will look like on the native platform. Collaboration happens right where it should, next to the content, with real-time comments. After a one-step-feedback-process, approvals happen with only one click. Everyone is in control and miscommunication becomes a thing of the past. Well, known tools such as Buffer and Hootsuite offer a way to schedule posts but aren’t tools built with teams in mind. 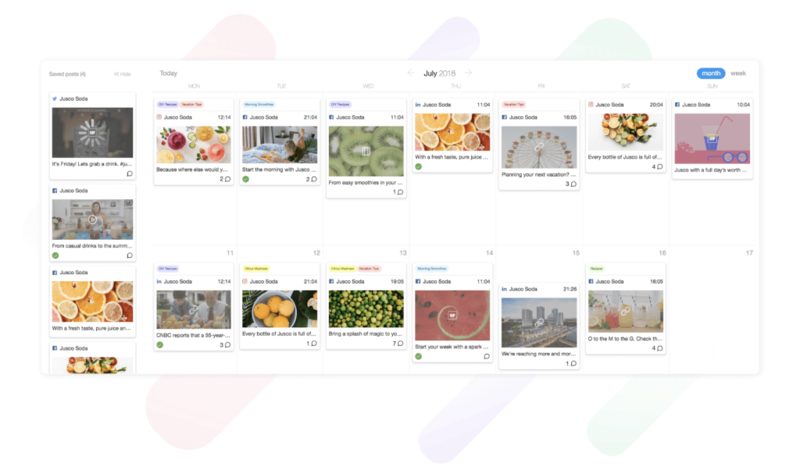 However, planning becomes a lot easier too since the tool includes a calendar view and posts are dragged and dropped right where they fit best. It’s a lot easier to improve when you can see the entire strategy at a glance. Before you can’t take anymore bragging, there’s one more thing – workspaces. Which are usually built by admins, one workspace for each brand and social media managers can then invite the clients, connect the pages and be relieved that thousands of folders are no longer clogging their desktop or drive. What can Planable do for you? Planable is everything social media teams need to move their creative processes forward. A social media expert that has a great life (is a Planable user) can preview his social media posts as they’re live, leaving screenshots or Photoshop mockups behind. He can enjoy creating and planning posts with his favorite formats (carousel, video, photo, link and so on) and bring mockups to life. Again, dummy accounts can be deleted, screenshots forgotten and powerpoint templates archived because there’s a new way in town to collaborate. 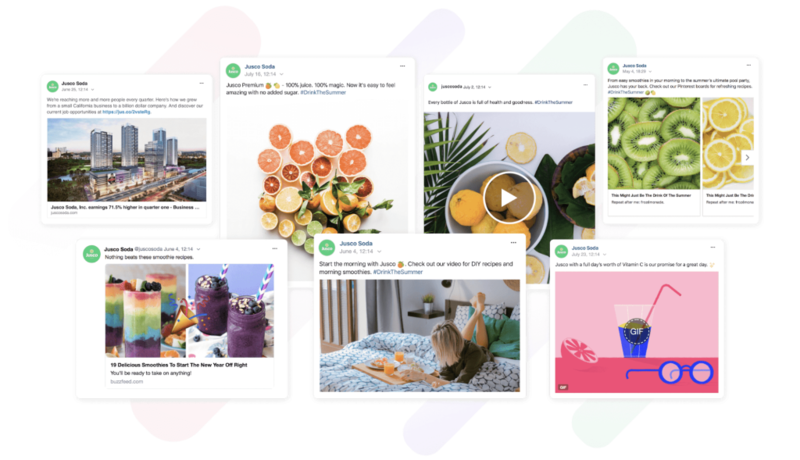 You can spruce up your posts with emojis, active hashtags, page tags and a Giphy integration. Want to share the same content on multiple pages? You can. Want to adapt them to their channels with a @ here and a # there? Go for it. Anything’s possible. Also, add those awesome images just with drag and drop and your ideas will come to life in no time. Who are we kidding, no social media expert takes the time to decide on the date and hour of his every single post. We usually decide on specific time slots that convert best and that’s why in Planable there’s a way to predefine those time slots and power up your social media scheduling. It’s your strategy, your decision here so you define those preferred time slots for each day of the week and for each brand you manage. We clearly love the drag & drop function because here it is again. 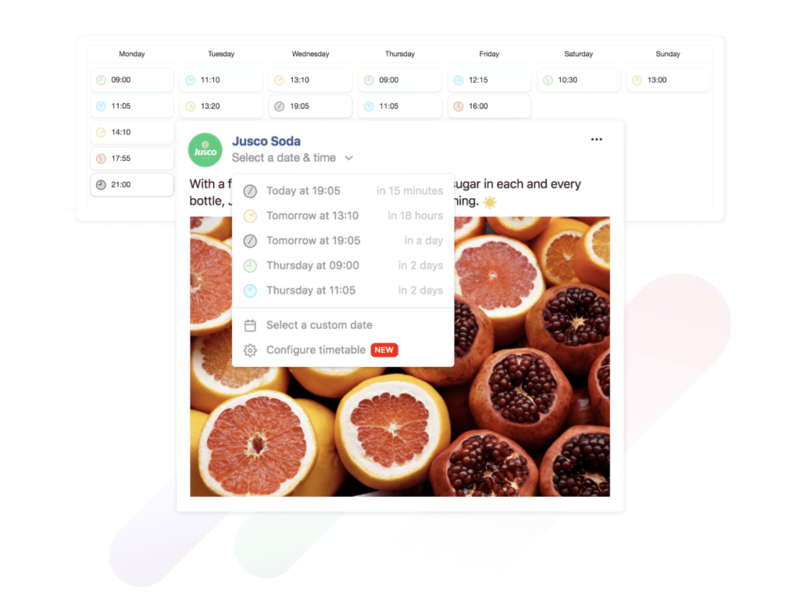 In the calendar view, you can either drag and drop the unscheduled posts so you decide with the overview in front of you when and where it belongs or adapt those calls by dragging and dropping the already scheduled posts. No miscommunication, no more “did you get that email?” and no more “kind reminders”. Everyone is in the loop with one shared space for both the team and clients to collaborate. There’s no one left out, each and every team member can contribute while staying safe from “Black Friday **** Need copy and link****” tweets with clear permissions. Also, we know how clients absolutely hate extra steps so there’s no sign up needed for them to view the posts, just an easy share with an email invite and a one-click approval process. For everyone that felt like they were spring cleaning when trying to collect & translate feedback, let’s bring it back where it belongs and it makes sense – right next to the post. Anyone can comment, tag a team member and choose to notify the right people. Feedback is clear – suggestions can be backed up with attachments to comments and feedback loops closed with one simple resolve comments button. Also, no more threads from which no one understands anything, reply to specific comments to keep it clean and enjoy real-time collaboration. Look, think, feedback, click. That’s how easy it is to approve a post and make sure everyone agrees it’s good to go. You can also see who approved the post which makes the workflow not only easy but also transparent and efficient. You can deploy your content on your favorite social media channels: schedule on Facebook (Pages and Profiles), Linkedin (Pages and Profiles), and Twitter. If there’s any content that you really loved, repost it and bring it back to life. You can also send posts to Facebook Ads Manager with the Save as Ad option, save as a Facebook draft or target the people who are right for your business & use what you know about your customers with audience restrictions. 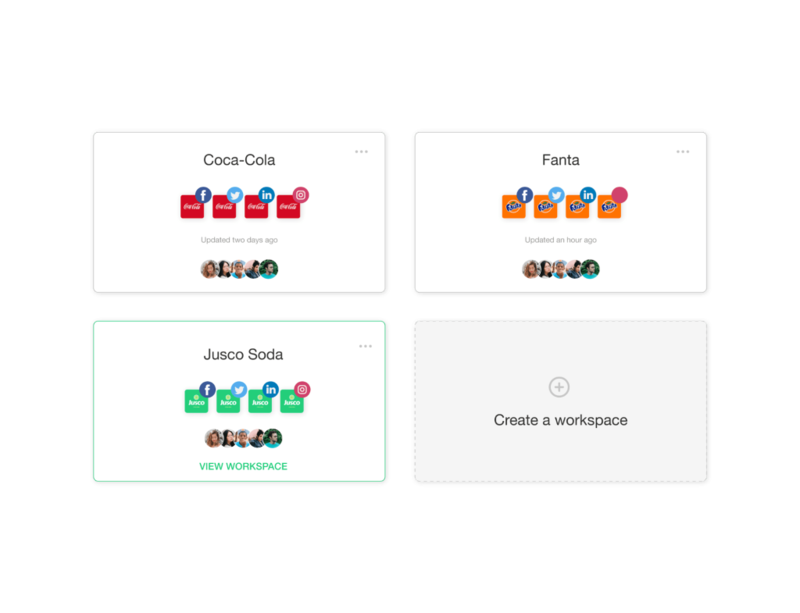 Planable has a “workspace” organization method meaning that you can group people, social media accounts, and content calendars into separate workspaces and see how managing multiple brands becomes simpler. Told ya! No more folders, drives with dozens of messy files. There’s more? Yes, magic’s just pouring in Planable. 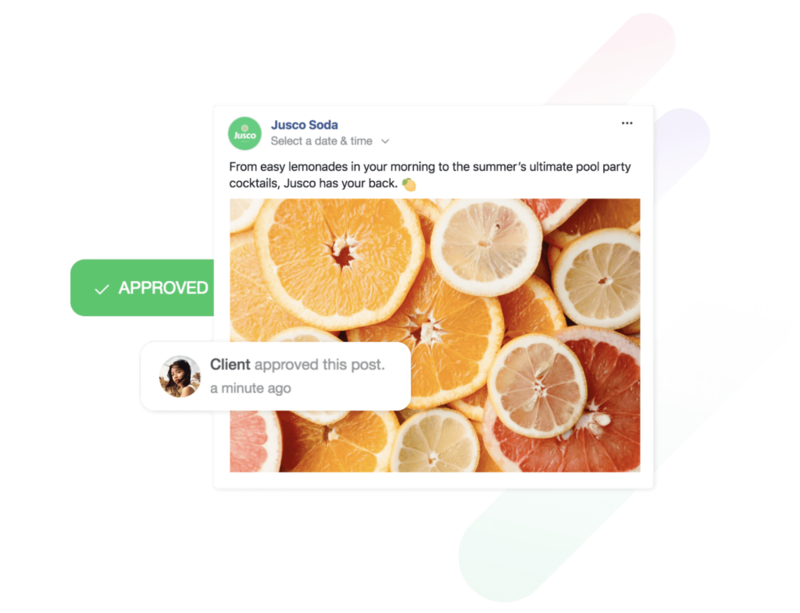 You can categorize posts per topic, purpose or campaign with Labels, filter your content per type, period or labels with Filters, and receive notifications when posts are created, approved or published and when new comments are added with Notifications. You can also see a post’s entire history, stay secure with encrypted and backed up daily content and rely on these guys’ customer support. They really care about their customers. Planable is probably for any social media team or even for individual use. To go full-on teleshopping, it’s for anyone who said: “There has to be a better way!”. One good news it’s that they have a free 14-day trial – no credit card required and you can spend that time to play around and decide for yourself if it helps you.